We Know Tape! From tape purchases and hardware upgrades to a full menu of tape and library services, we can help. Let us help reduce the time YOU spend on your tape storage environment. We know you've got plenty of other issues to deal with. 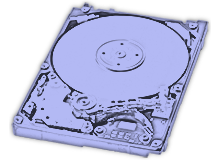 Our disk services are designed to help you handle time-intensive projects, such as auditing or data sanitization. From procurement through IT Asset Disposition, we can help save your time and budget spend on your storage environment. 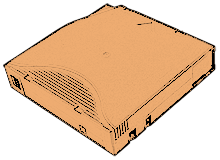 Our team will ensure compliance with proper audit documentation, chain of custody, and handling or transportation of your disks and IT assets. ADScloud is a simple, yet flexible, way to take control over your cloud infrastructure. Let's talk – our team will design a solution based on your exact recovery time needs and compute and storage requirements. Short on resources? 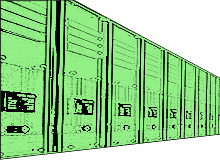 Let our experienced data center projects team supplement your internal staff to keep you on schedule and on budget. We can even improve your budget woes with cost reduction solutions such as our BC/DR or maintenance and hardware warranty programs. We can even create budget room by helping find remarketing value in your end of life equipment. Our goal is to save you money by fitting a solution to your true needs, don't settle for paying for how often you access your own data or for "standard" features that you don't need.